Kate received her Bachelors degree in Nutrition and Athletic Training at the University of Vermont where she was a member and captain of the University of Vermont Women’s Track and Field Team. Kate obtained her Masters in Physical Therapy (MPT) at East Carolina University in North Carolina. Kate was inducted into University of Vermont’s hall of fame for her athleticism in women’s track and field. She has worked as a Physical Therapist for over ten years. 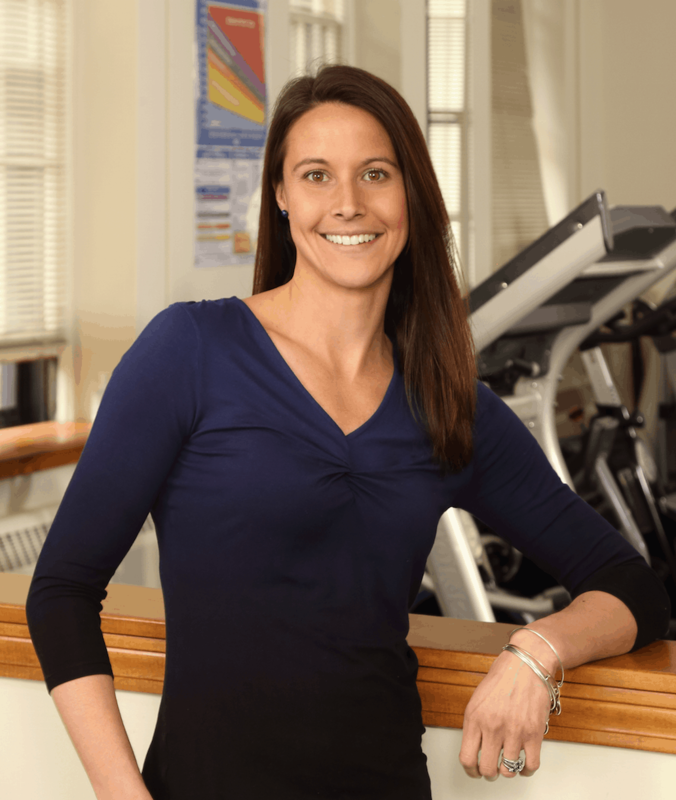 Her work experience and internships include a variety of settings such as inpatient/outpatient hospitals in NC and VT, outpatient clinics in NC, MA, and VT, and an outpatient clinic/sports performance center in RI where she worked as a PT, ATC and was the Athletic Trainer for the University of Rhode Island Women’s ice hockey team. Her continuing education includes SCS strength conditioning specialist, treatment of pelvic floor muscle dysfunction, pilates for use in rehabilitation, advanced skills for orthopedic and sports related knee injuries, back education and training, orthopaedic manual therapy of the cervical and lumbar spine, Graston Technique®, and advanced post surgical orthopedic rehabilitation.